A sunny September Saturday, and it’s off to the Sheep Drive at London Bridge for me. 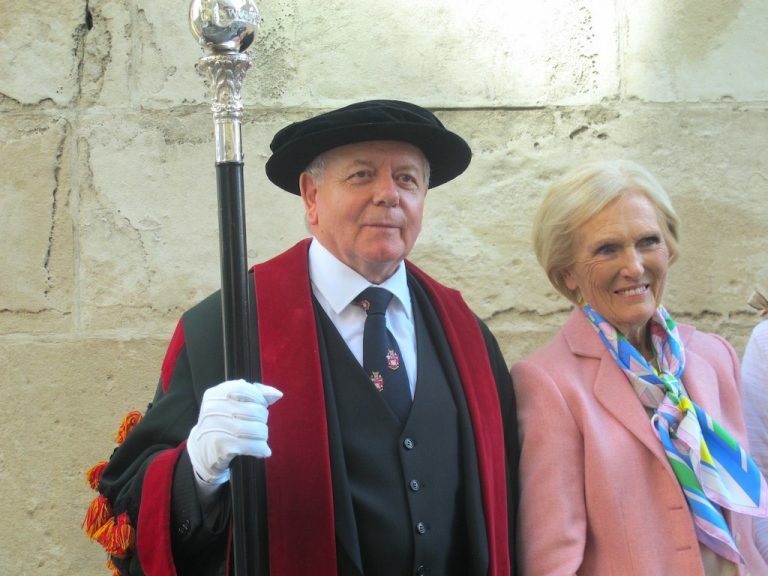 The event, on London Bridge in the City of London, takes place every year to raise money for the Lord Mayor’s Charity. As Freemen of the City, Woolmen (members of The Worshipful Company of Woolmen) were exempt from tolls for driving livestock over the bridge. Now they exercise this centuries old right each year by offering Freemen the chance to drive the sheep with them. 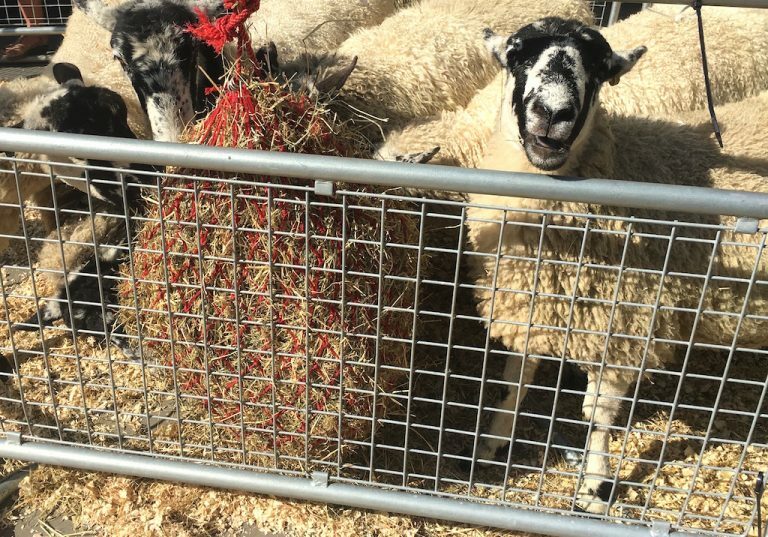 It truly was a glorious day and everyone seemed happy – even the sheep! And they’re off… The sheep were driven in groups of about 10 at a time from one end of the bridge to the other for the whole day, with lots of people turning up in fancy dress to drive them. Lots of shepherds and shepherdesses, and I even spotted a fox! 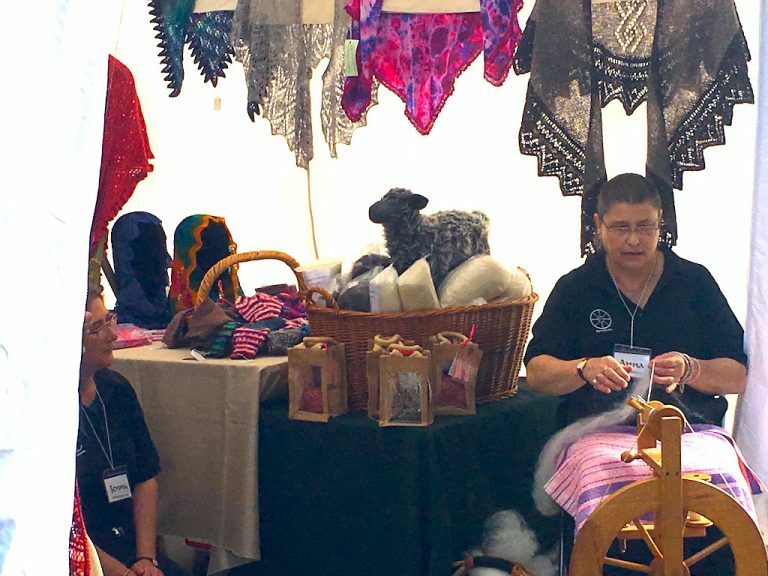 Just round the corner from the Sheep Drive was the Wool Fair. A street full of stalls in the shadow of the iconic London landmark The Monument. 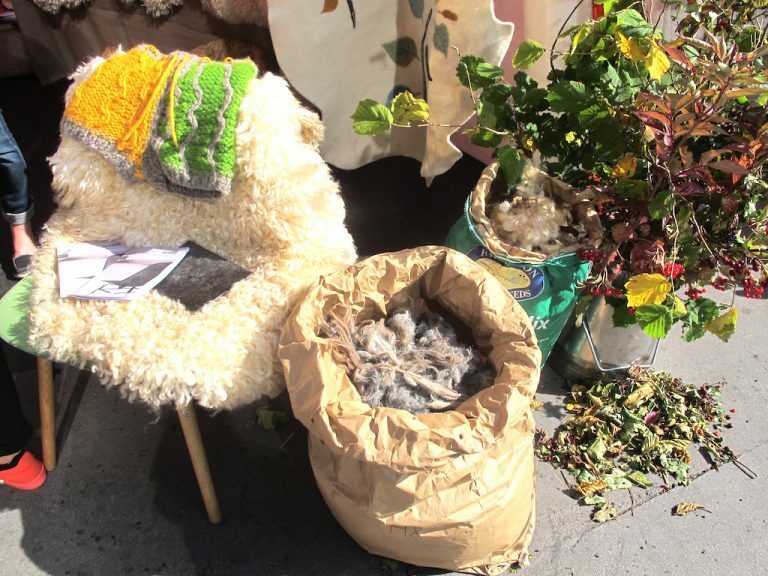 Such a variety of goods on display… from fleeces to knitwear, from spun yarn, to woven fabric, and much more. There were even slug pellets made of waste wool – ingenious! 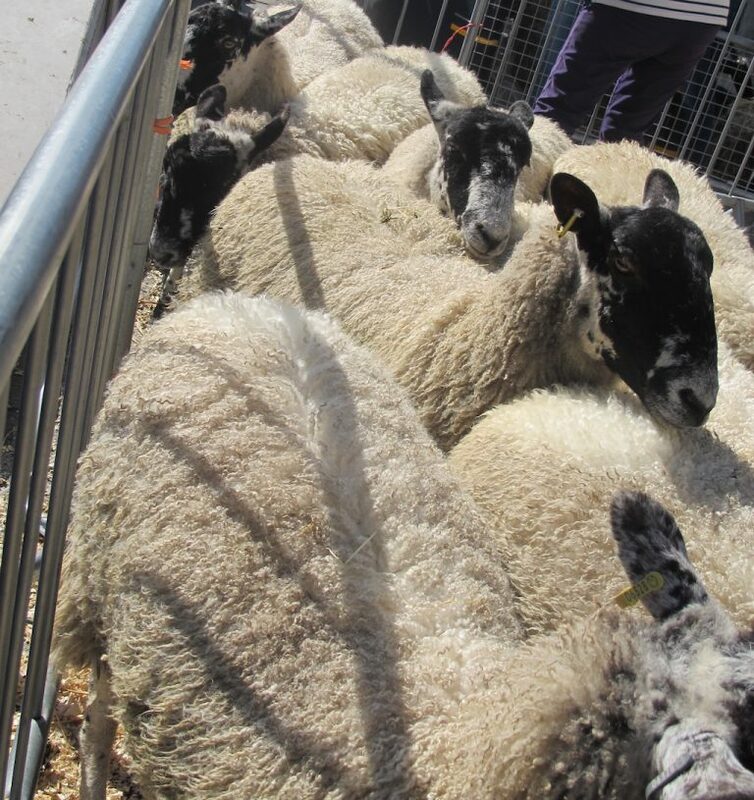 And of course, there were sheep here too… These little sheep come from Ascog Wool. 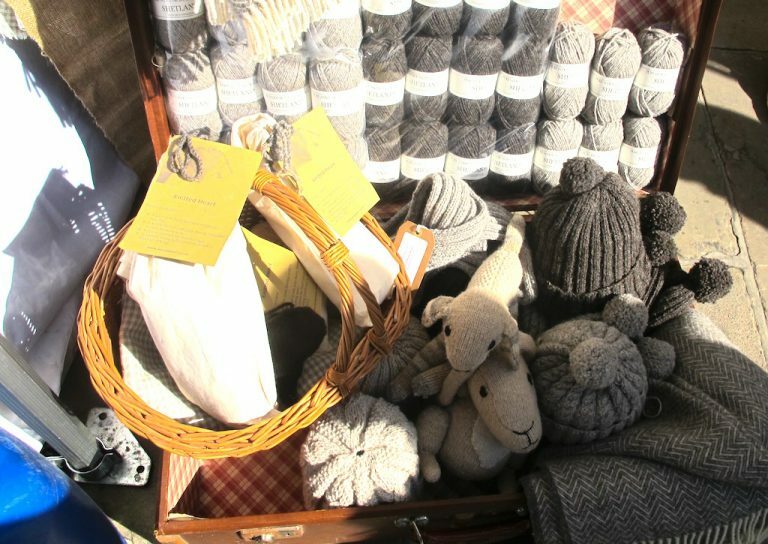 The lovely natural undyed yarn itself is produced from sheep on the Hebridean island of Bute. 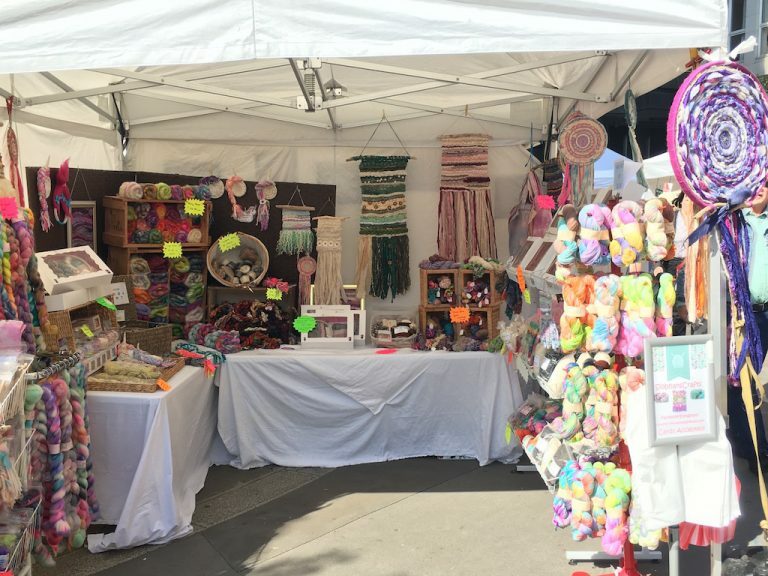 Lots of the stalls were so colourful and tempting. I had to use all my willpower not to break the bank! 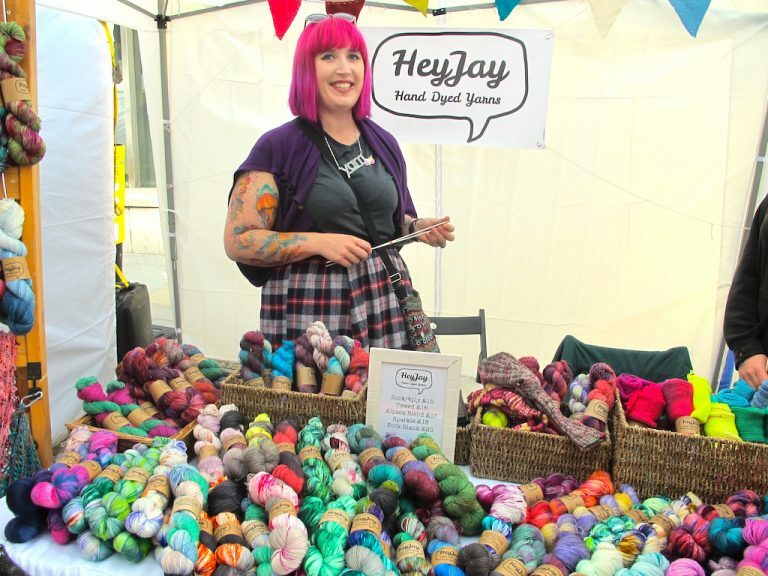 However, when I came across the HeyJay Yarn stall, I just couldn’t resist. Well, look at all the gorgeous hanks of wool here. I chose a beautiful pink-hued tweedy 4ply. 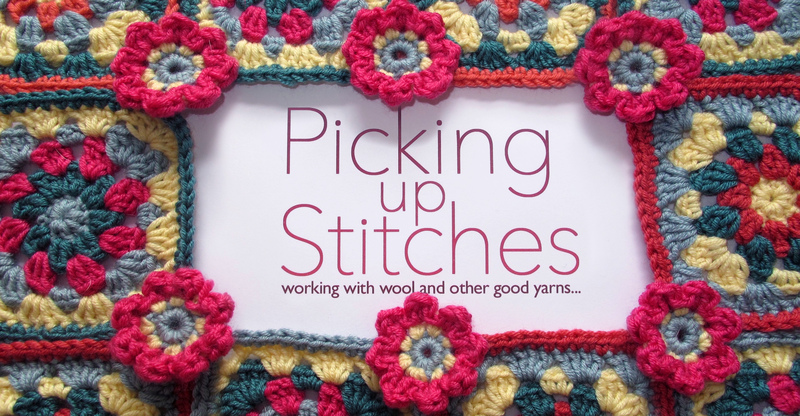 Hopefully a pair of socks will be on the way soon, though there are already a lot of projects on my needles, which you can read about here! It wasn’t just yarn at the fair either. 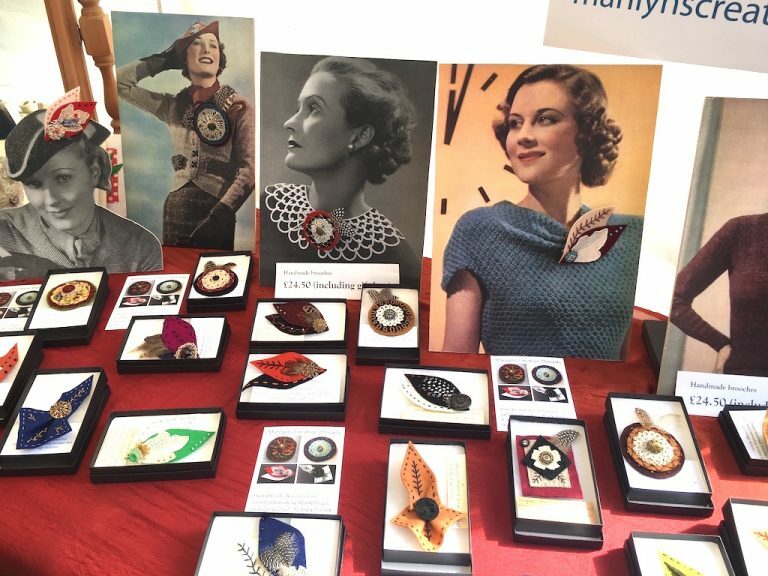 I loved these vintage-inspired brooches from Marilyn’s Creative Threads. Marilyn uses hand embroidery, and vintage fabrics and lace to create this fantastic jewellery. 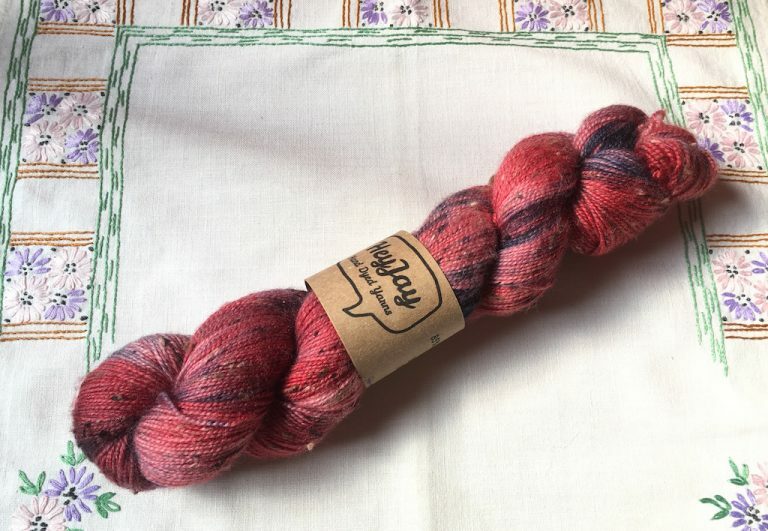 In case you want a peek at what came home from the fair with me – here’s the wool I snapped up from HeyJay. 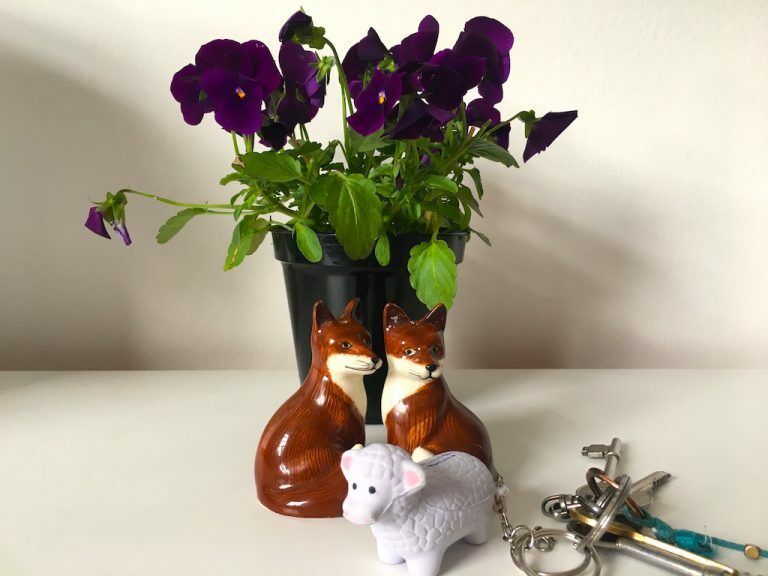 And finally, I couldn’t resist bringing a sheep home with me, and luckily it doesn’t seem too bothered about the foxes!